2012年由白骑士犬舍从美国NORTHBAY`S犬舍引进到中国的最高赏励澳洲牧羊犬. 已完成美国冠军登录, 美国澳牧国家俱乐部冠军登录 加拿大冠军登录, CKU中国冠军登录, CKC冠军登录, CKU世界冠军登录 2013年中国CKU澳洲牧羊犬积分榜母犬排行一. 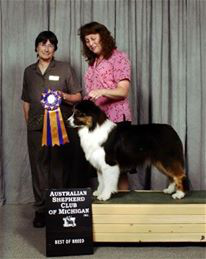 其父BIS BISS AKC ASCA CAN GRAND CHAMPION COPPERRIDGE'S FIRE N BAYOULAN是2011年美国澳牧国家展BIS, 2010年美国西敏寺犬赛澳洲牧羊犬BOB, 2009年优卡杯澳洲牧羊犬BOS, 2008优卡杯澳洲牧羊犬BOB获得者! 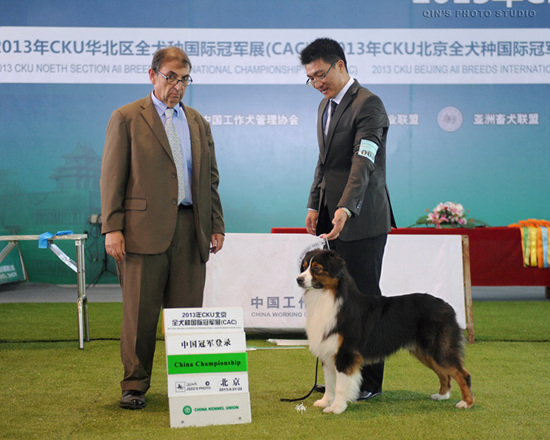 现在正在美国比赛, 其父BIS BISS AKC ASCA CAN GRAND CHAMPION COPPERRIDGE'S FIRE N BAYOULAN是2011年美国澳牧国家展BIS, 2010年美国西敏寺犬赛澳洲牧羊犬BOB, 2009年优卡杯澳洲牧羊犬BOS,2008优卡杯澳洲牧羊犬BOB获得者! 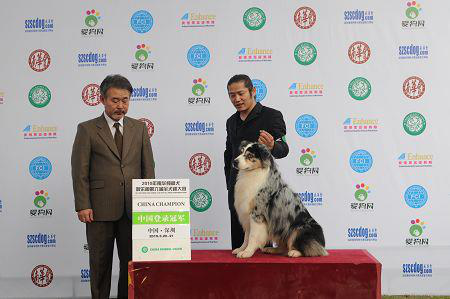 其父为美国著名澳牧种公金质大冠军GR AM CH RisingStar's Heaven Sent, RN. 澳洲传奇澳牧AUST.CH. TILLSUN THE JOKES ON YOU直子, 中国完成第一只澳洲牧羊犬登陆冠军, 中国完成第一只澳洲牧羊犬世界登陆冠军. 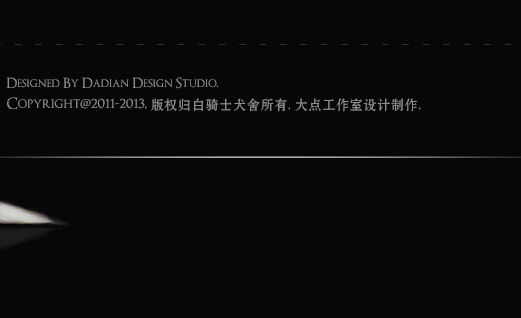 同胎兄弟是2008年澳洲边境排行一BIS AUST CH GR CH Benshiva Dot Com. 其父是Muti-BIS Ch (Aust, Gr Aust, Am, Inter, China, Gr CN, Asain, Phil, Gr Phil, Tailand) Sportingfields Call Fourth Borderfame (Cleary) 9个头衔登录冠军(澳洲登录冠军, 澳洲超级登录冠军, 美国登录冠军, 世界登录冠军, 中国登录冠军, 中国超级登录冠军, 亚洲登录冠军, 菲律宾登录冠军, 菲律宾超级登录冠军, 泰国登录冠军) 的边牧. 回眸2006年大学生涯很普通的一天, 让我认识了黑白分明经典的边境牧羊犬. 上天赋予他聪明, 敏锐, 热情且充满好奇心的多重性格. 淘气如孩童, 帅气如王子, 稳重如绅士, 优雅如贵族. 驰骋在旷野上的黑白精灵.有着极高的理解力和服从性---边境牧羊犬. 这是我当时的一个简单的认知, 激情四溢的年龄 从那时起让我们无知无畏的投入进一个全新的游戏DOG SHOW. 懵懂的我带着我的第一只并不是优秀赛级的边境牧羊犬, 踏上了一个从未涉足的领域. 我为自己的理想努力在这个陌生的赛场! 大学的生活因为他的出现, 冲淡了枯燥, 乏味的大学生活, 我们活跃在赛场! 乐不知疲! 年轻的激情冲淡了赛程的劳苦! 在比赛中我看到了很多优秀的边境牧羊犬! 他们飒爽的英姿让我惊讶, 我开始学习关于边境牧羊犬的各个方面的知识! 同时结识了很多新朋友, 他们来自中国的各个地方, 不同的群体, 因为同一个目标! 聚集在了同一块蓝地毯上, 展示着让他们骄傲的爱犬, 也同时展现着他们的热情洋溢. 对边境了解的越多, 越是被他们所征服! 2007年春天我走出了重要的一步, 也是确定自己目标的伟大决定! 做一名合格的边境牧羊犬的繁殖者. 然后给自己制定了目标与繁殖的原则：宁缺勿滥,少而精,不要数量,只求质量”.  我开始知道要给自己的每只狗做CEA,CL and TNS 检测. 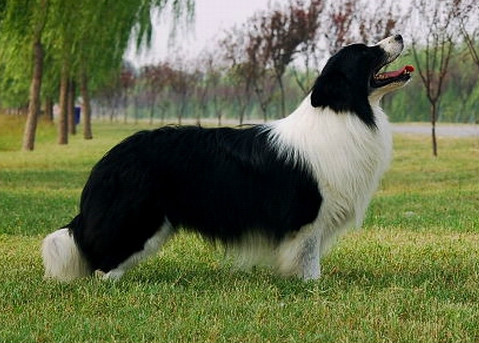 梦想有一天用自己学习到的知识繁殖的犬只重新站在DOG SHOW的赛场上, 在中国的DOG SHOW界给自己争取一席之地! 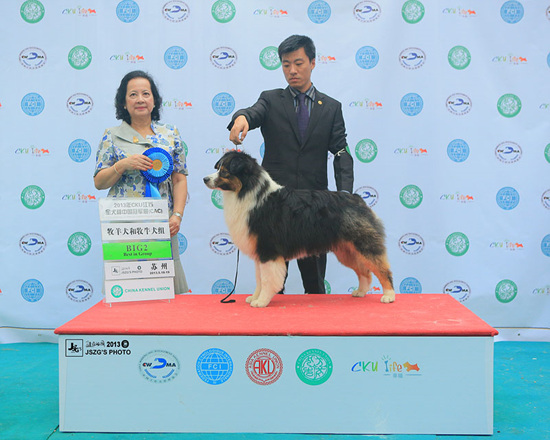 并可以在国际的DOG SHOW舞台上争取自己的荣誉! 年轻没有失败, 年轻是最好的资本, 那驿动的黑白精灵, 带给我勇气, 为了目标我们一起前进. 我们有了犬舍名字---白骑士犬舍---寓意着光与暗的觉醒 ! 为荣誉而战 ! 生命如夏花灿烂, 未来更加精彩! 如今已经毕业, 大学生活将不复返, 踏入社会, 进入职场, 有了自己的事业, 但是我的边境心结 , 永不会改变, 现在我拥有了自己真正意义上的犬舍, 我们拥有中国最好的指导手! 我们前进的脚步不会停止! 为了我们的目标, 为了我们的梦想! 有一天站在国际赛场的舞台上! 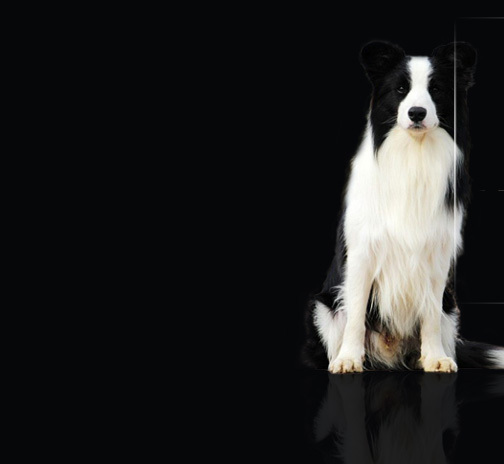 Turns the head in 2006 the university profession very ordinary one day, let me know was in sharp contrast the classics frontier sheepdog.The heaven entrusts with him intelligent, keen, the enthusiasm also the fill curiosity multiple personality disorders.Mischievous like child, good looks and graceful manners like prince, steady like gentleman, graceful like aristocrat.Gallops in the wilderness black and white demon. Has the extremely high comprehension faculty and obedient---Frontier sheepdog.This was my simple cognition then, the age which the fervor four overflowed since then lets a we ignorant dauntless investment brand-new game. 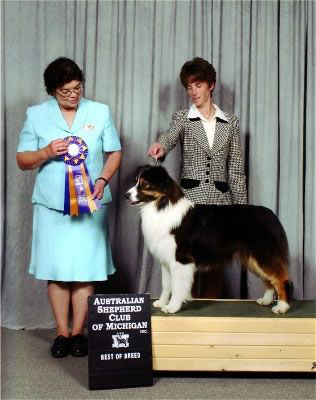 Ignorant I took my first and not an outstanding season on the border collie, a sealed book. For my own ideal efforts in this strange! College life because of his appearance, dilute the boring, boring university life, we are active in! Joy not exhausted! The young passions dilute. The schedule of labor! 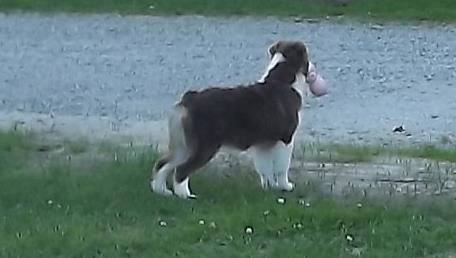 During the match I saw many excellent border collie! 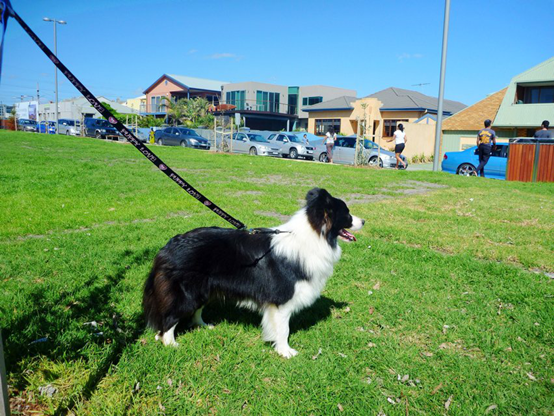 They sang the parade surprised me, I began to learn about different aspects of the border collie knowledge! Also made many new friends, they come from different places of China, different groups, because the same goal! Gather in the same block blue carpet, showing the dog, and let them proud of them also show zest. To understand more of the border, by which they conquer! In 2007, the spring I walked out of the important step to define their own goals, but also a great decision! 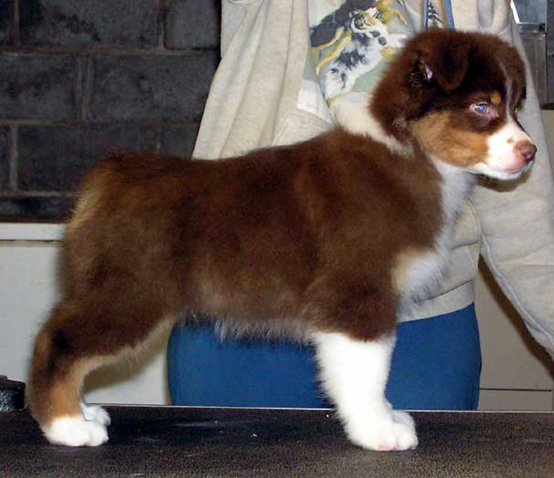 To be a qualified border collie breeder. Then give yourself to set a target of the principles: cry, fewer but better, not only quantity, quality ". 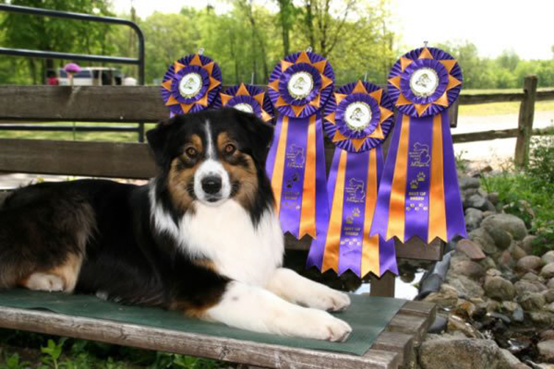 I began to know their every DOG do CEA, CL detection and TNS. 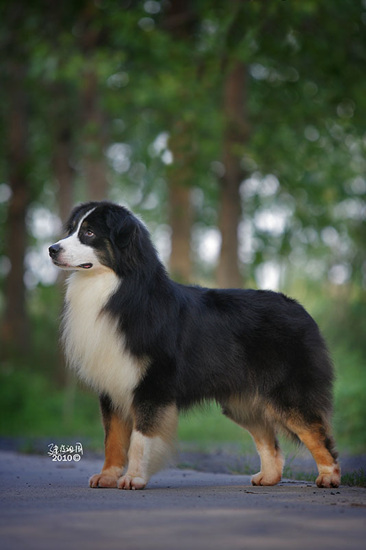 Have a dream that one day with his knowledge of learning to breed DOG DOG to stand in the display, in China's DOG for a place to display world! 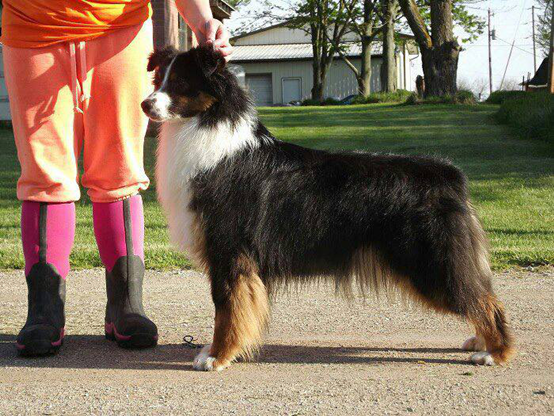 And can display the DOG on the international stage of honor! Young without fail, young is the best capital, the act of black and white, gives me courage to go forward together is our goal. 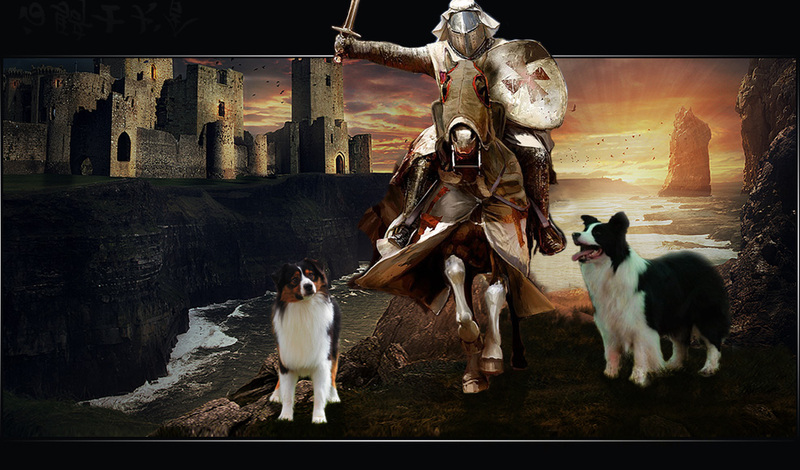 We have a kennel name - the white knight kennel - signify the awakening of light and dark!!!!!!!!!! For honor. Life be beautiful like summer flowers brilliant future! Today, the university has graduated, life will not return into the workplace, society, has its own business, but I never will change this border, and now I have a real sense of kennel, we have the best Chinese guiding hand! Our feet will not stop! For the sake of our goal, to our dream! One day in the international arena standing on the stage! We came from China! The future! We and the world!!! The wind of dancers - BAI QI SHI Kennel, what if lost you and win the world?